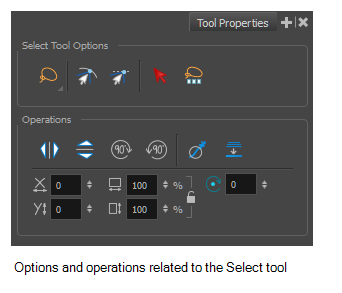 The Tool Properties view contains the most common options and operations related to the currently selected tool. As soon as you select a tool from the Tools toolbar, the Tool Properties view updates to display its properties. For information on specific tools, see About Tool Properties. ‣ In a view area, click the Add View button and select Tool Properties View. ‣ Select Windows > Tool Properties.